While doing some freelance photography in the West Suburbs of Chicago, my restaurant adviser had sent a text message to me requesting that I meet her at a Vietnamese restaurant in Berwyn before continuing on home. With non-stop traffic congestion coupled with never-ending construction, a nice stop after being in third gear for a little over an hour was a welcomed recommendation. 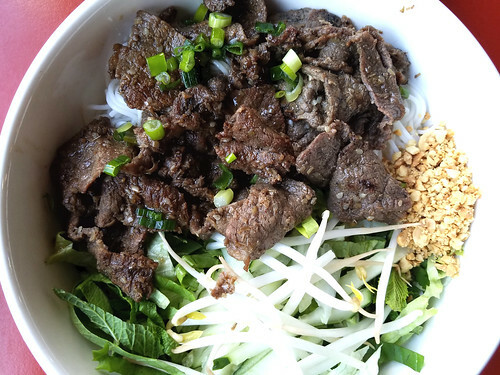 Las Vegas Vietnamese Restaurant at 6723 Cermak Road has been in business since August, 2017, serving authentic Vietnamese flavors. 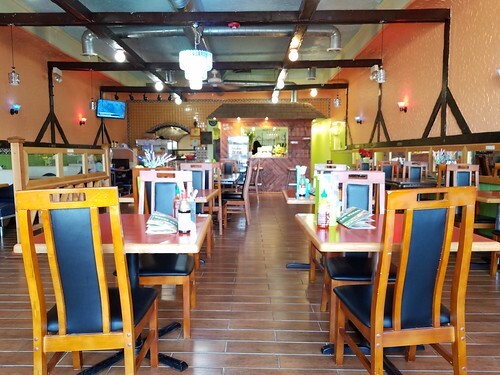 It’s a spacious restaurant with a nice amount of light and without seating that introduces a feeling of being crowded. Add to that service that makes it feel like you are going to someone’s home instead of to an establishment, you have the making of a fantastic restaurant. 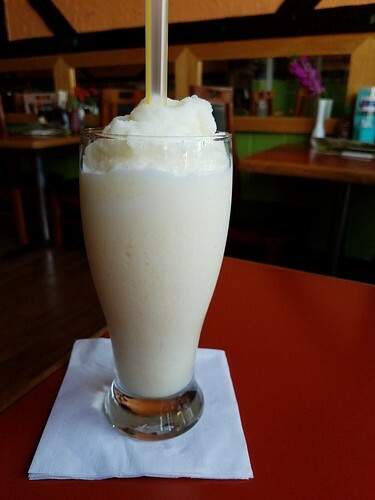 Without going overboard with all of the appetizing items on the menu, we started with durian smoothies while waiting for our dishes to come to the table. For those who have had durian, you are already aware of how much of a contradiction that fruit is. For those who have never had it, just get a durian smoothie in the meantime. The actual fruit smells like it would attract all sorts of creatures from the land and sky, but has a sweet taste that makes you wonder how something could smell so horrible yet taste so heavenly. Nevertheless, the smoothies were refreshing and sweet without being saccharine. Easing into the meal, to whet the palates, we had spring rolls that came with a side of peanut sauce that had crushed peanuts. Even as a common staple, there was a freshness in each bite. They certainly did not have the “day old” texture that has become rather commonplace at a lot of Pan Asian restaurants that sell spring rolls. 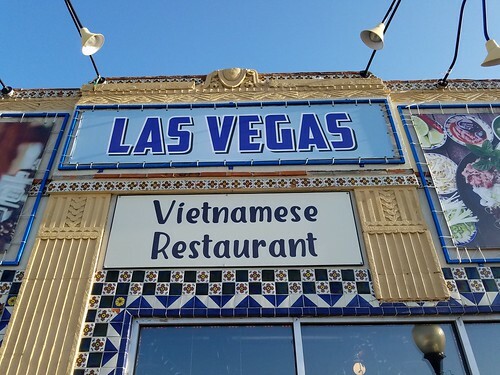 The main dishes were where Las Vegas Vietnamese shines. 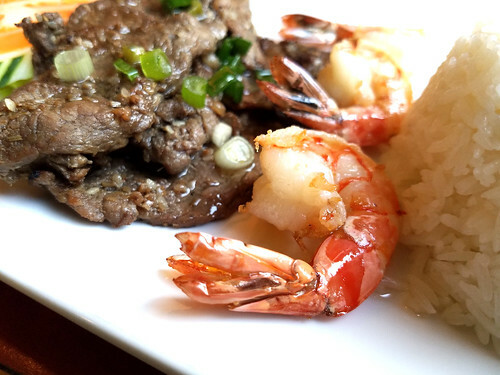 There was a plate of grilled beef, shrimp, and rice, all served with a thin savory sauce that added a note of sweet and savory. This com bò tòm nuòng was seasoned well, and tender to each bite, this version of a surf and turf packed so much flavor that one may want larger portions of the dish. For our second landing, we indulged a large bowl of grilled beef called còm bò nuòng. Served with bean sprouts, crushed peanuts, and a small cup of the thin sweet and savory sauce, this will probably become a go-to dish on future visits. Adding the complimentary mint leaves and jalapeños to the dish made it pop that much more. Rounding out the dishes, we had phò gà. While ramen may be a rather popular fad nationwide, phò is quite divine when prepared culturally versus appropriated. Brimming with a very faint aroma of autumn — cinnamon or cloves — the noodles were neither al dente nor mushy. 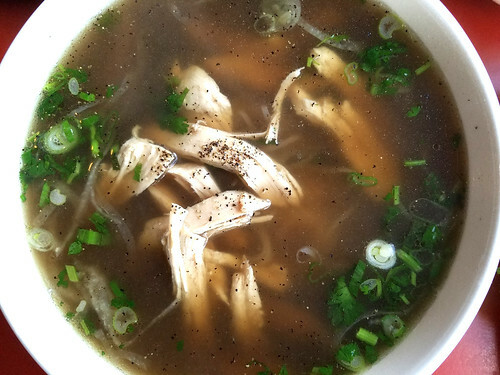 The chicken was not simply dumped into the broth, which goes to why individual bites of the chicken burst with a notion of having been seasoned well. And being too filled from having enjoyed so much already, we opted for iced coffee sweetened with condensed milk. Brand name coffee shops would lose business if citizens at large were to get properly introduced to Vietnamese iced coffee. 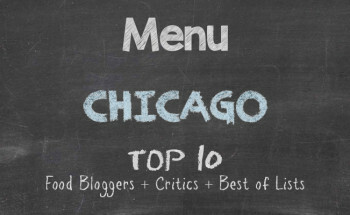 Most who are in Chicago will recall that Broadway and Argyle in Uptown is where there is a cluster of authentic Vietnamese restaurants. It is nice finding a Vietnamese restaurant in the suburbs, as it provides an alternative to fast food eateries and family style restaurants that have cookie cutter menu options. Las Vegas Vietnamese was a gamble for this first visit, not really knowing what to expect. It was great discovering something with cultural appeal, top table service, and reasonable prices. 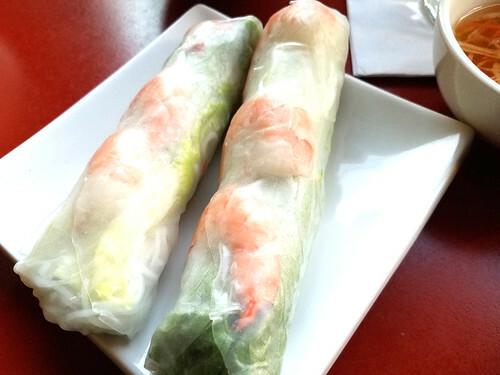 If you want to take a chance on appetizing Vietnamese food while in or passing through the Near West Suburbs, make Las Vegas Vietnamese your stop.